Continuing the market heat of its reliable industrial SSDs, Apacer Technology has recently launched a brand new ultra slim industrial SATA3.0 SSDs: the mSATA H1, compliant with the MO-300 standard. This model made by SLC flash extremely competitive for its ultra slim appearance, high speed, high stability, and wide temperature operation for industrial uses. 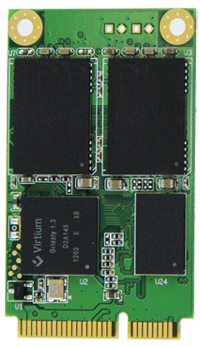 Our mSATA SLC SSD have been used in numerous industrial applications. 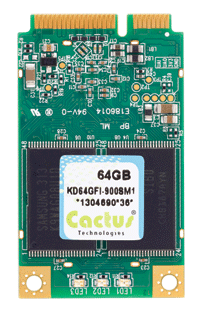 They use the SATA interface which is much faster than older Parallel ATA products such as CF and PC Cards. SLC mSATA come with the reliability of SLC NAND which enables our high endurance of >2 Million write cycles per logical block. 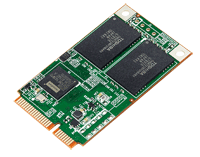 Innodisk mSATA 3SE is designed as the standard Mini PCIe form factor with SATA interface, and supports SATA III standard (6.0Gb/s) with excellent performance. Innodisk mSATA 3SE3 effectively reduces the booting time of operation system and the power consumption is less than hard disk drive (HDD), and complies with ATA protocol, no additional drives are required, and can be configured as a boot device or data storage device.